A poignant, gripping novel about the refugee crisis challenging the globe. Recently retired and suddenly finding himself adrift, Richard becomes captivated by a group of young African refugees being housed by the German government in his quiet Berlin suburb---Who are these men? What do they want? The answers seem simple, yet issues of power, humanitarian responsibility, bureaucracy, and intolerance make their lives and reality complex. 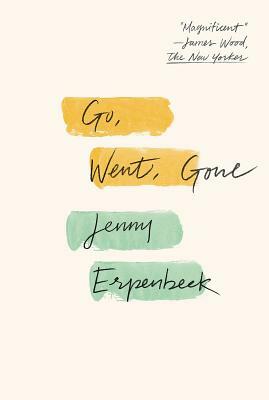 Erpenbeck is a skilled novelist, and her talent as a storyteller serves as a humanizing lens on a daunting political crisis. Go, Went, Gone is imperative for us to read, discuss, and share.